The best minds in data collection are Methodifying the research industry. 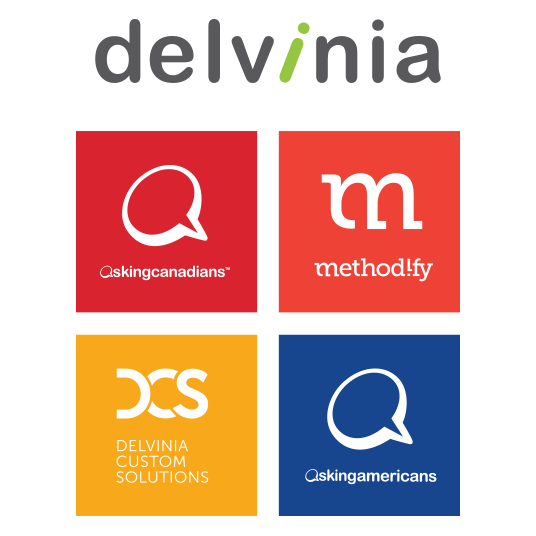 Methodify is powered by the innovative minds of Delvinia, a proudly-Canadian technology scale-up founded in 1998. As Delvinia has grown, we’ve never lost sight of our passion to innovate. Research and development is embedded in our DNA. It’s how we think and has been at the core of Delvinia's vision from the outset. Over the past 20 years our R&D activities and entrepreneurial mindset have led to the launch of several successful businesses – all with a focus on data collection – including AskingCanadiansTM, AskingAmericans and now Methodify. So, although we Canadians have a penchant for apologising, we aren’t sorry for being innovative. Our growth and success have been driven by our approach – and our approach indicated that market research needed Methodify. Now, research that once took weeks, can be completed in just a few hours.